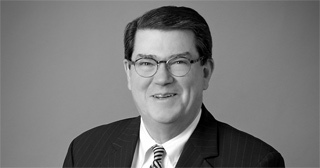 Washington County (PA) attorney James H. McCune is joining the Canonsburg, Pennsylvania office of Bowles Rice. In making the announcement, Thomas A. Heywood, Managing Partner of the regional law firm, said "This is a very exciting time for Bowles Rice. We are delighted to welcome someone of Jim's abilities, experience and decades-long leadership in Washington County to our family in Canonsburg." "We look to Jim to be a leader in our firm, just as he is a leader in his community," Heywood continued. "His deep roots in Washington County and his leadership in many professional and civic organizations will help us fulfill a vital part of our firm's mission, which is to contribute to the vitality of the communities in which we live and work." Mr. McCune is eagerly anticipating his new role, which begins August 1, 2012. "When I heard that Bowles Rice was planning to come to Canonsburg, I was intrigued at the possibilities that a relationship with a large, regional firm might provide. At this point in my life and career, I am really looking forward to new challenges and opportunities with Bowles Rice, while actively continuing my law practice." Mr. McCune has been practicing in Washington County for 38 years. He represents individuals and businesses in general legal matters, as well as real estate law, commercial lending, energy law and title insurance. He received his undergraduate degree from Kent State and his law degree from the West Virginia University College of Law. Bowles Rice is a full service law firm with 130 attorneys. In addition to the Canonsburg, Pennsylvania office, which opened in the Southpointe commercial complex in March of this year, the firm has offices in Charleston, Martinsburg, Morgantown, Moundsville and Parkersburg, West Virginia; Lexington, Kentucky; and Winchester, Virginia.